Join host Amy Zellmer as she chats with Lindie McDonough from Mt. Washington Pediatric Hospital. Lindie McDonough attended Stevenson University and George Washington University, where she earned degrees in Therapeutic Recreation and Transitional Services for Traumatic Brain Injury. Lindie has been employed at Mt. Washington Pediatric Hospital for 12 years, and works as a Senior Therapeutic Recreation Specialist. 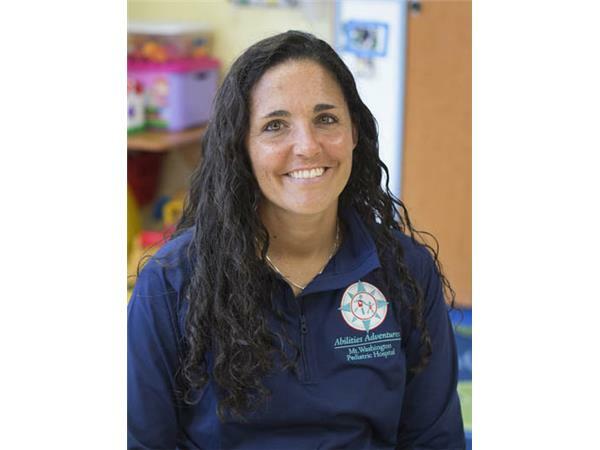 She coordinates therapeutic recreation programs, Abilities Adventures, and community and school re-entry programs for inpatients and outpatients in the rehabilitation program. Mt. Washington Pediatric Hospital provides family-focused, integrated care to children with serious, chronic or complex medical needs. Since 1922, the hospital has helped children heal from illness and injury, and now treats nearly 9,000 patients each year. The 102-bed hospital is a jointly owned affiliate of The University of Maryland Medical System and Johns Hopkins Medicine and has locations in Baltimore City, Prince George’s County and in the community. For more information, please visitwww.mwph.org.